Teachers are often overworked due to administrative tasks and underfunded for their planned school activities, but their passion on insisting every child gets education they deserve keeps them going. Read on to find out how you can help these teachers at zero cost. 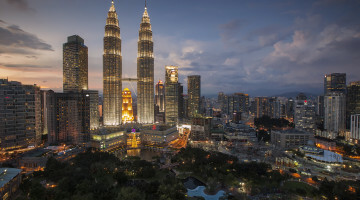 Give.my lets teachers across Malaysia crowdfund for awesome classroom projects. Give.my is collaborating with Do Something Good and Malaysia’s Resume to inspire more people to volunteer for NGOs by telling people about volunteers. All you need to do is share a story about you or someone you know volunteering. 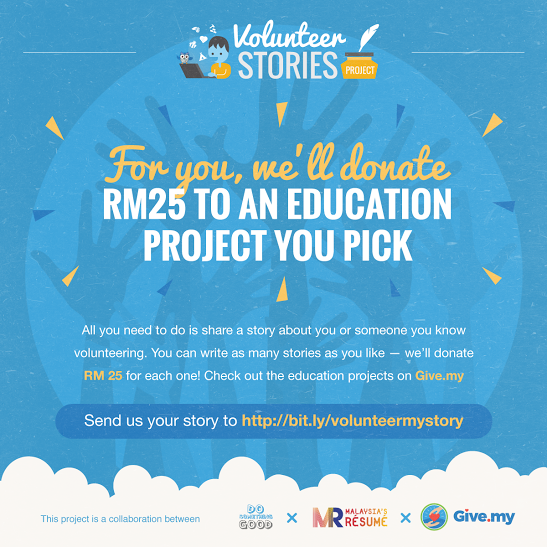 You can write as many stories as you like, and they will be donating RM25 to an education project of your choice.